Table 8-2 uses the formulas in the previous table to compute the conditions under which 1 fig is achieved. This gives an idea of the scale over which specific micro-gravity values can be obtained. Microgravity levels could be substantially lowered by conducting microgravity experiments well away from the vicinity of the Earth or other large objects. Microgravity leads to a wide variety of chemical and manufacturing processes that cannot occur on the surface of the Earth. Heavier particles in a solution do not settle out and bubbles do not rise to the surface. This allows uniform, universal mixing and permits chemical reactions to occur that could not occur on Earth because separation or weight collapse would hinder completion of the reaction or hardening of the material. Surface tension and other inter-molecular forces can take over that would otherwise be dominated by gravitational settling. Similarly, convection does not occur in space and heated materials do not churn or boil. This allows differential heating to take place to provide other chemical reactions. Because settling does not occur, very large crystals can be formed in space which have a variety of industrial applications. Containerless processing and working in the vacuum of space can lead to extremely pure chemicals for use in both pharmaceuticals and manufacturing. Microgravity is a whole new science which is just beginning to evolve. 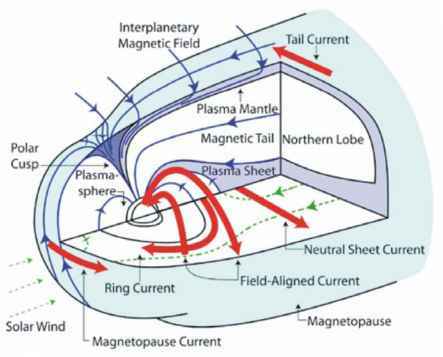 The upper atmosphere affects spacecraft by generating aerodynamic drag lift and heat, and through the chemically corrosive effects of highly reactive elements such as atomic oxygen. The effects of aerodynamic lift and heating are important during launch and reentry. Aerodynamic drag is addressed in Sec. 6.23. Drag depends on the ballistic coefficient (which is a function of atmospheric composition and temperature), velocity relative to the wind, and atmospheric density. We can either estimate the ballistic coefficient based on the configuration of the spacecraft, or bound the problem using typical upper and lower limits as shown in Table 8-3.